In a selection process, everybody has high expectations of you as Hiring Manager! Your decision about the candidates is extremely important, but the truth, which nobody admits, is that in most cases nobody has ever taught you how to conduct a good interview. Everyone expects you to know perfectly how to ask questions, open ones of course, how to structure the interview, and for sure you know all the techniques. Since you’ve done a lot, you are more than capable to do interviews perfectly. Not So? You and I know this is not true unless you have experience in psychology or coaching. Or maybe you are self-taught and have tried different techniques until you acquired a great and effective interview method. Just for you to know, if you have, I admire you! To those who conduct interviews only by instinct, without knowledge, I could tell you now that it doesn’t matter and that it will come with practice, but I would be lying, it matters and matters a lot! For you to become a good leader, it all starts with knowing how to choose the right people with whom you will work best. This first step which will be the key to your success, If you manage to improve the way you choose your team members since you will have people who you don’t have to motivate and push every day, because they will have their own internal motivation and drive. You will share the most important values, your way of working will fit, and you can inspire each other. You will know for sure if the job really fulfills the person or is just another job. You would be able to evaluate at which personal and professional level the person is at and to what level they could reach by joining and working in your team. Apart from all these benefits, you will have a more selfish reason: if you choose your team well, you will enjoy much more the company of the members during the working hours and perhaps also outside. Doing a selection process in an unconscious way and only by instinct can bring you many problems. To mention the most serious: high turnover, incompetence, complicated integration, poor performance, and bad attitude, all of which affect the entire team. This can destroy in a matter of weeks, what took you a long time to build. Price per hours dedicated to the selection process and the training of each person who was participating in (researcher, recruiter, yours, payroll specialist, trainer, mentor, etc. ), plus the salary of the person who does not meet the expectations, plus the cost of dismissal (if the trial period has passed), plus other intangible and not quantifiable aspects (such as the extra work that the rest of the team entails, and their frustration for not having the right colleague), if there is also a bad attitude, we must add the negative influence on the team. Some studies say it costs you 2/3 of the person’s annual salary, yes, you read correctly, annual! Anyway, regardless of the calculation you make, a bad choice will be very expensive. The last word is always yours, therefore it’s your responsibility to take the best decision. There are several ways to minimize risk when making a decision about a candidate. I share one with you, but it won’t be like in many webinars where they talk for an hour only saying the “what” but never the “how”. Have you heard of the concept of Avatar or Customer Persona? It is basically an incredibly detailed description of the ideal customer. I apply the same concept in the selection to describe the right person for your team. With this technique, to begin with, you will attract that kind of person you will most enjoy working with and you will also detect very easily if the candidate fits with your Avatar. You don’t have to do anything else, just answer in writing to the following questions with honesty about your ideal candidate and block 30 minutes in your calendar to reflect on your answers. How much do they earn now? How much would they like to earn? In which industries do they have experience? Do they play any sport? What sport? Does their appearance matter to them? In what activity or social group do they participate? Do they like watching TV? What programs do they like? What kind of movies do they like? Are they a day or night person? What would they like their routine to be on weekends? How can you help them to achieve this goal? How do they like to work? In a group, individually or both? How do they interact with their colleagues? What is their strategy to achieve their objectives? What do they expect from their boss? How is their ideal job? Are they extroverted or introverted? What are the most important values ​​in their life? What kind of behaviors do they not tolerate? Under what kind of leadership, they work the best? How would they like to contribute to the success of the company? Finally, what do they need from your part to convince them that this is the most suitable job for them? 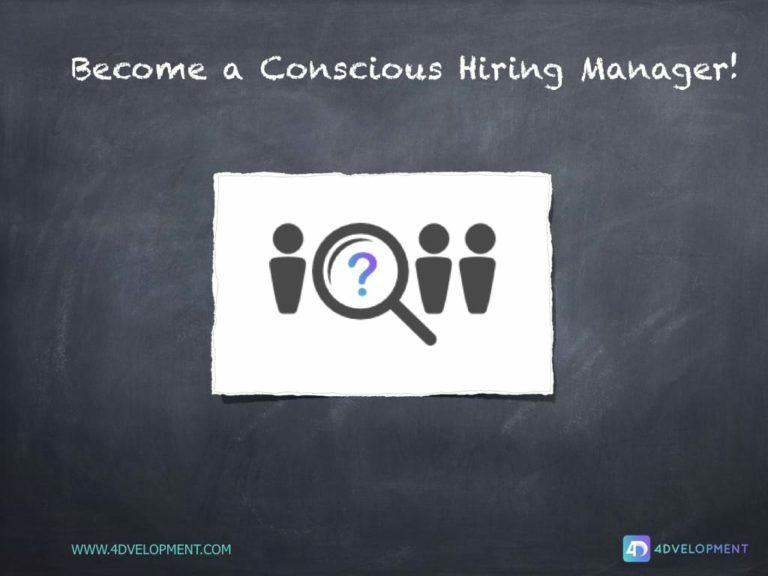 If you have done this exercise, you have already taken another step to be a great Hiring Manager and a Conscious Leader!